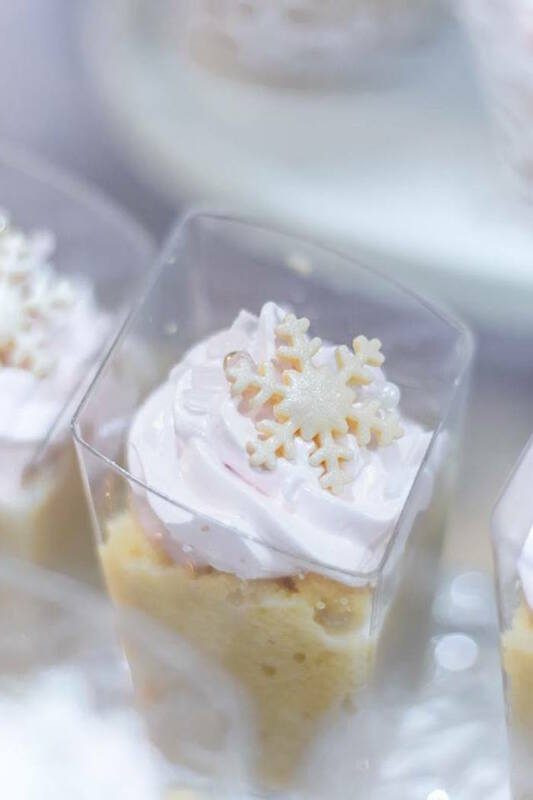 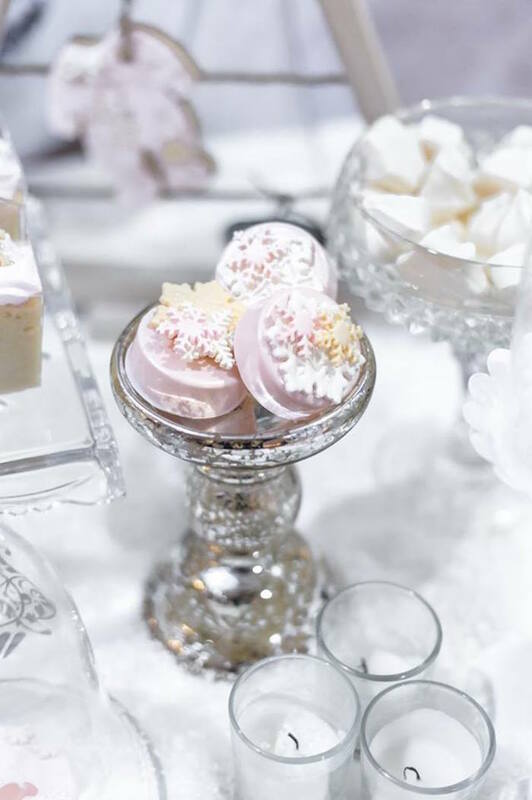 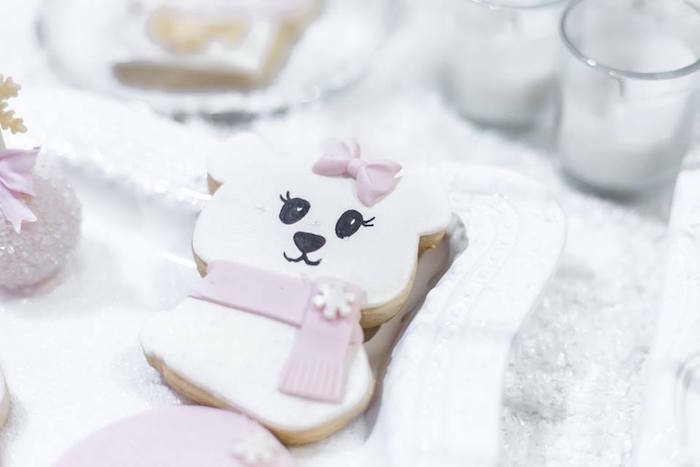 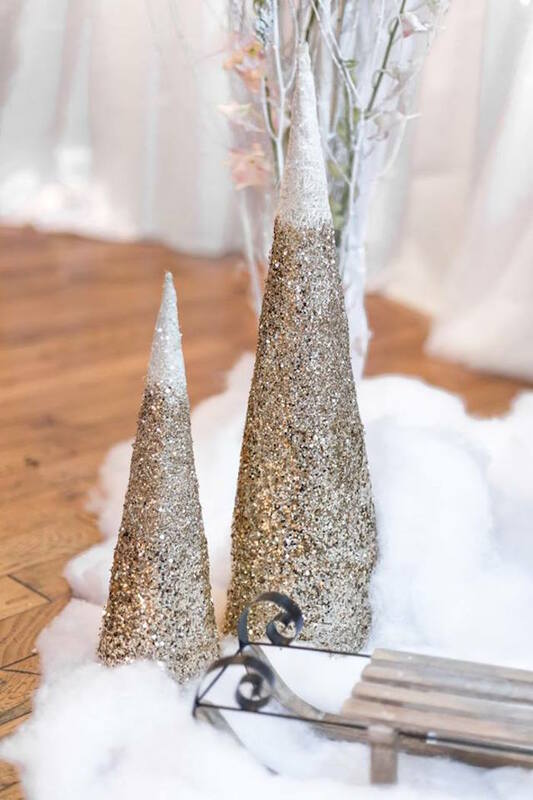 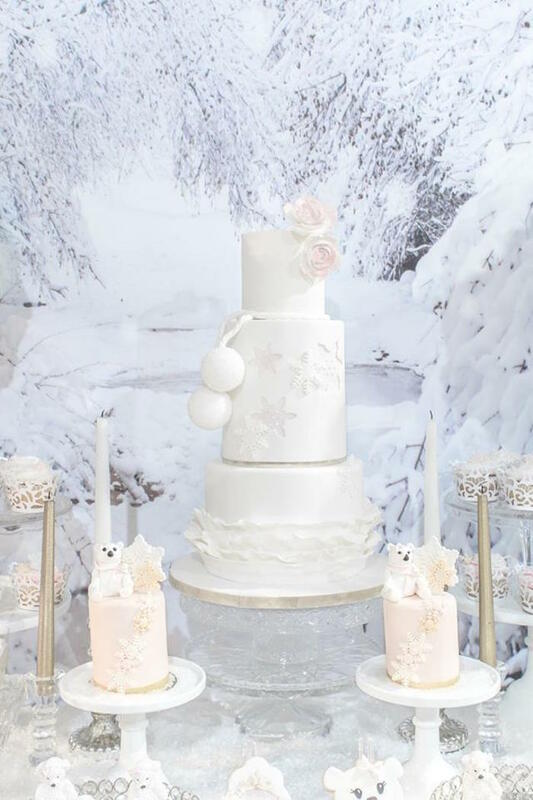 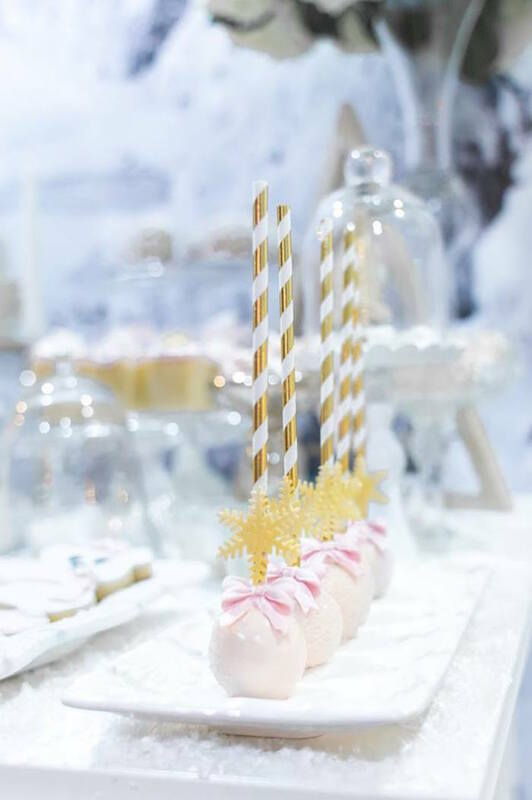 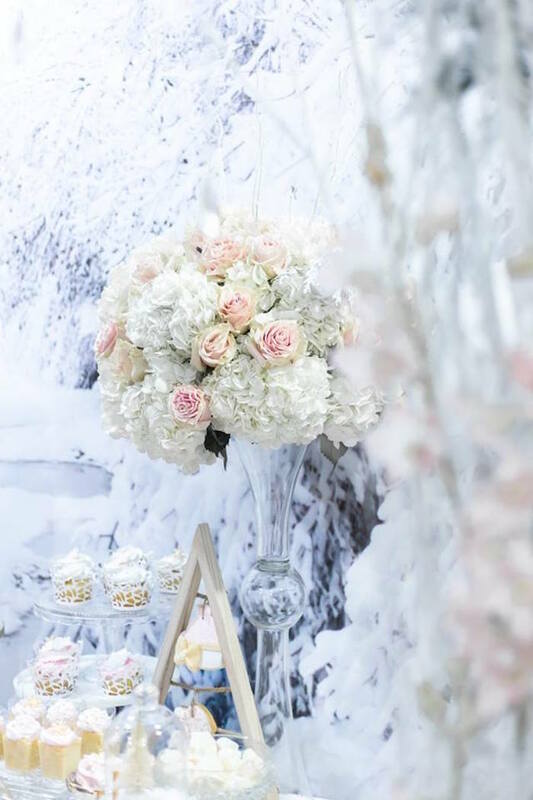 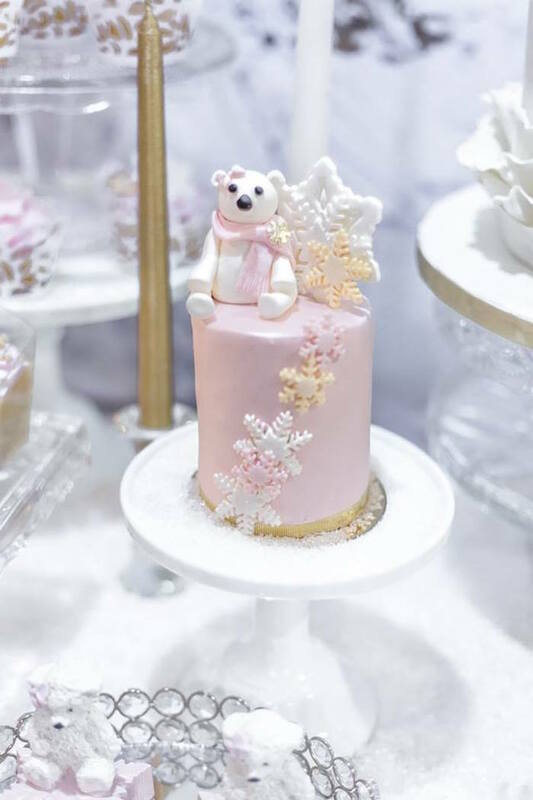 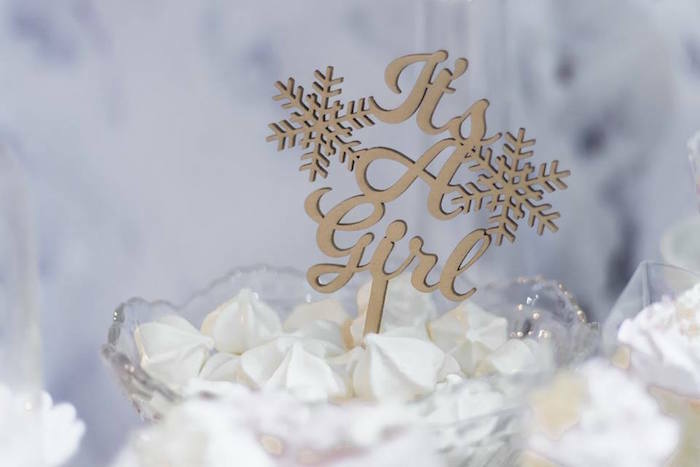 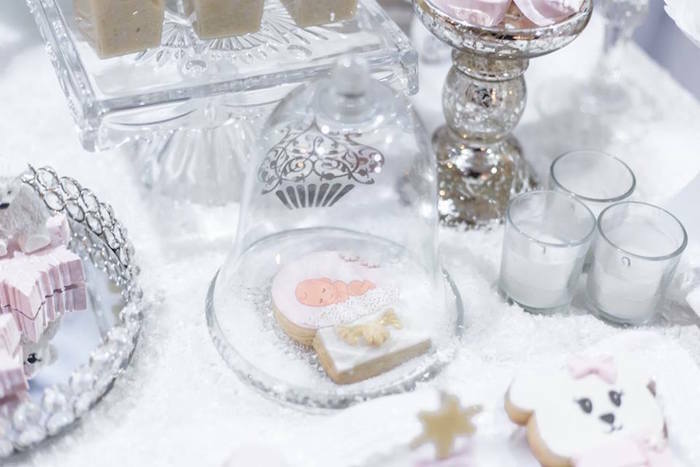 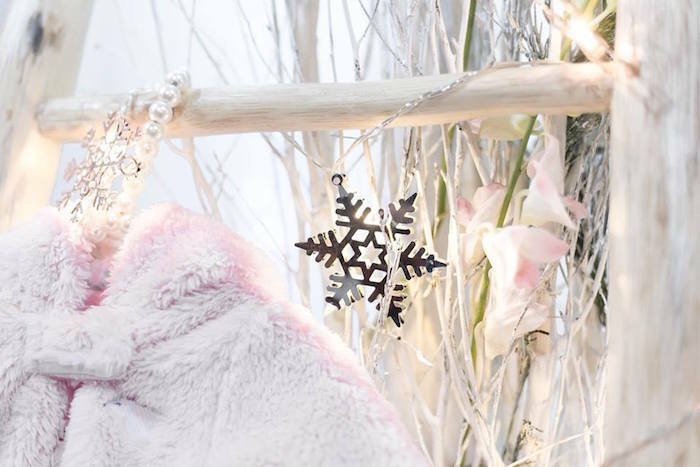 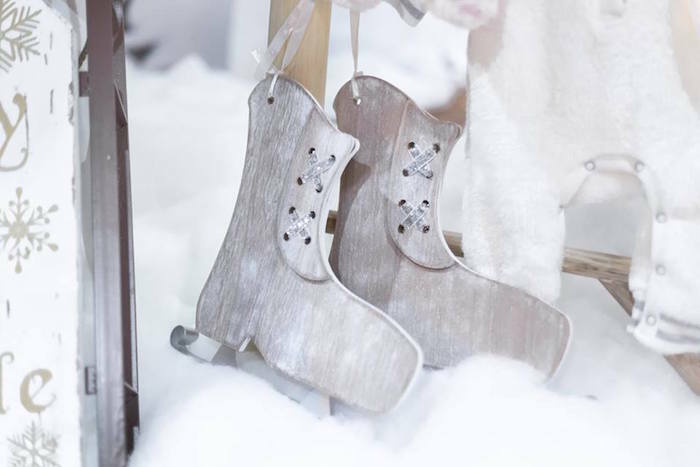 Shimmering ice and fresh fallen snow, if you’re looking for winter than you must check out this Winter Wonderland Baby Shower featured below! 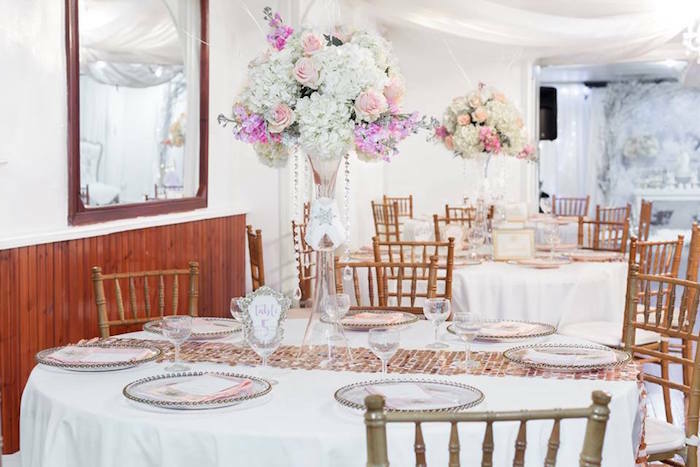 Styled by Danisa Betances of ADAL Kreation, out of New York, NY; this beautiful celebration is packed with elements that will make you swoon! 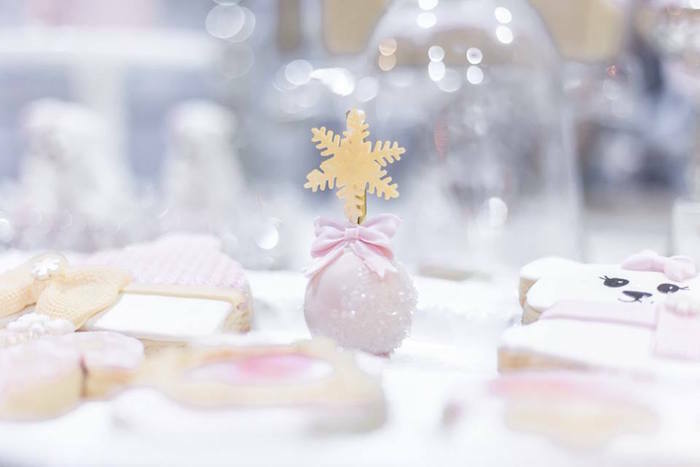 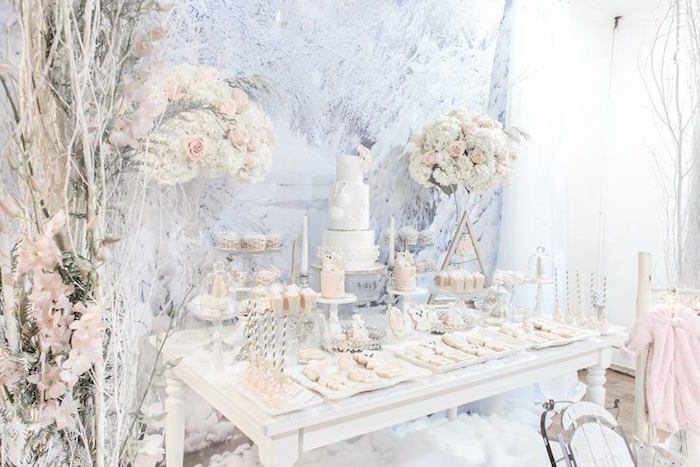 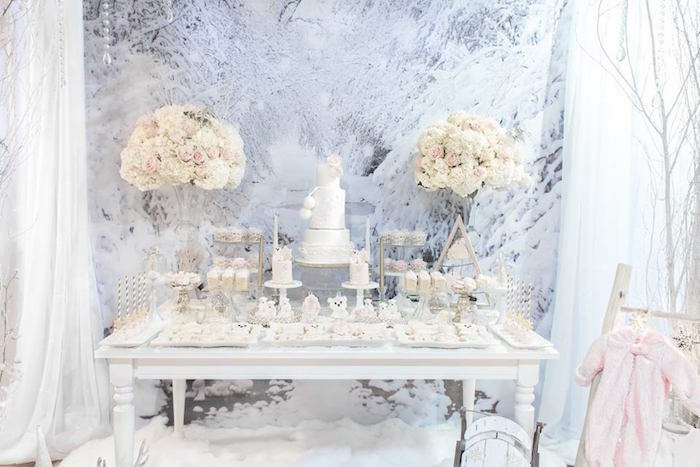 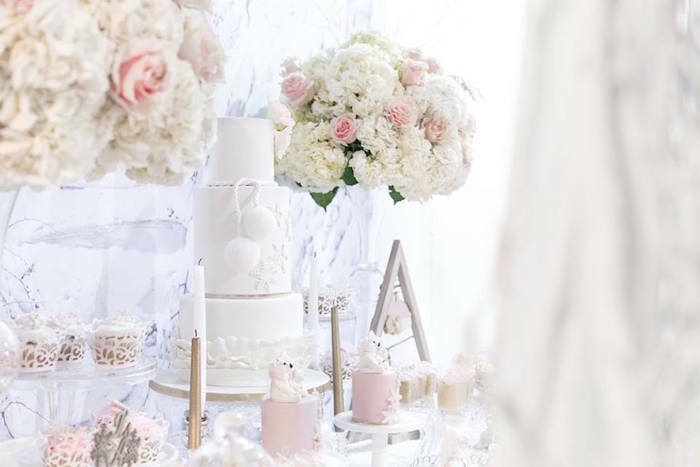 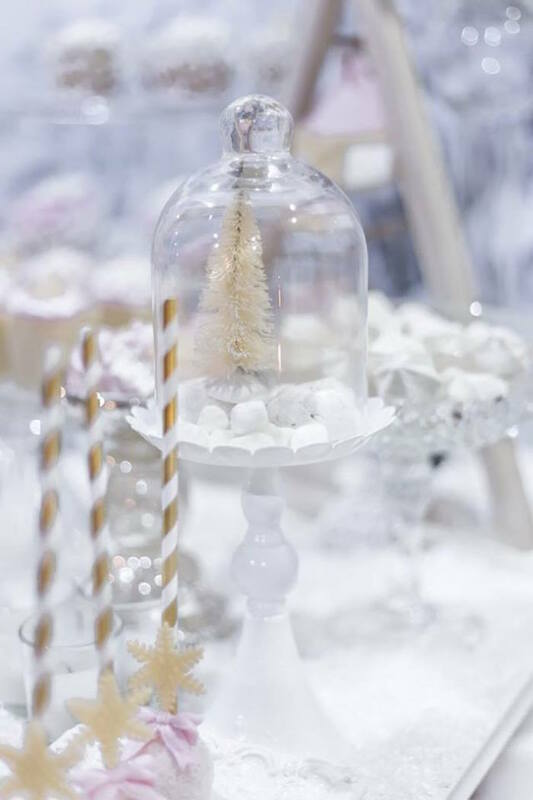 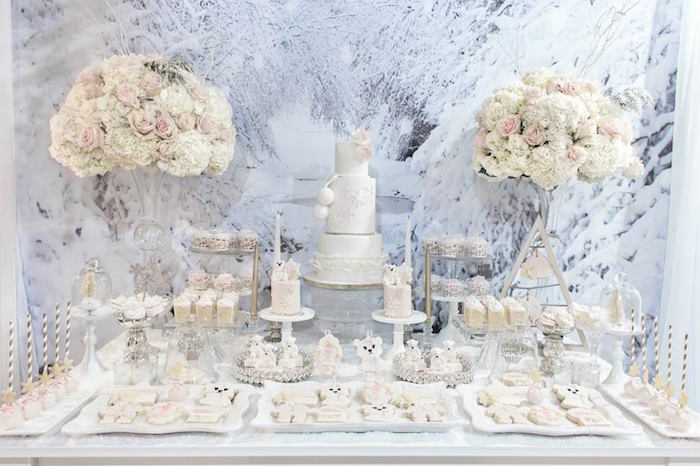 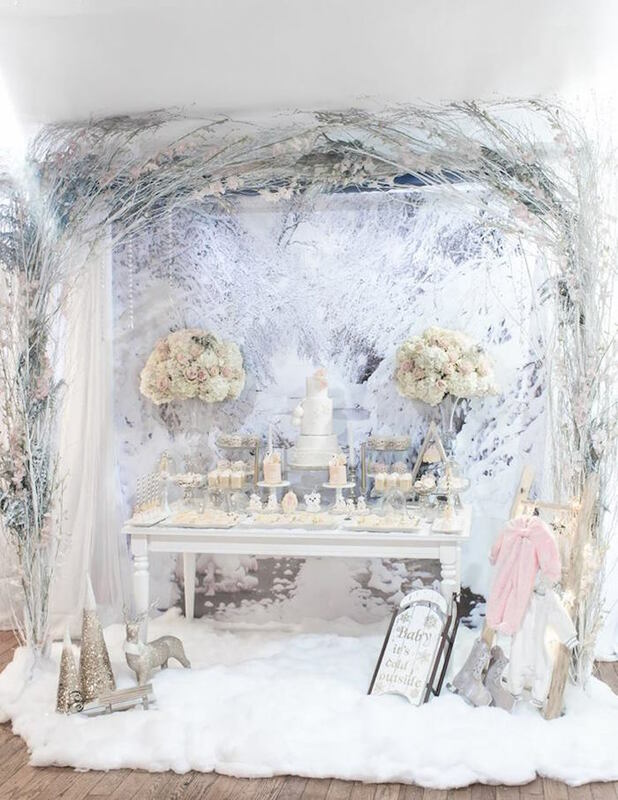 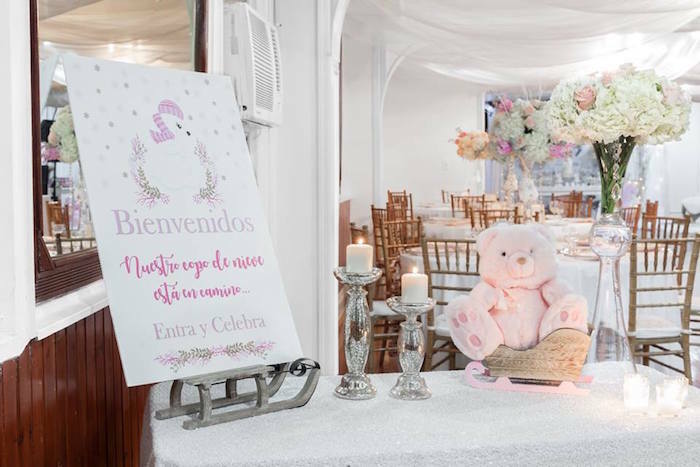 “It was truly a joy to design this winter wonderland baby shower for one of the most easy going clients. 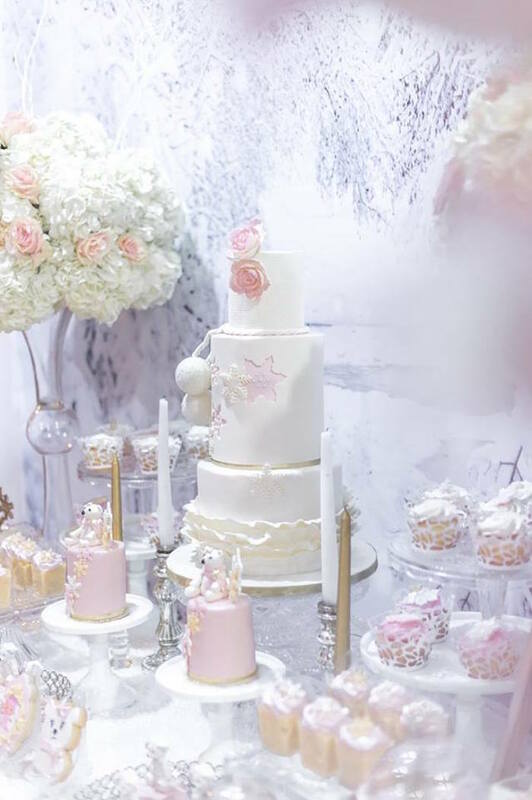 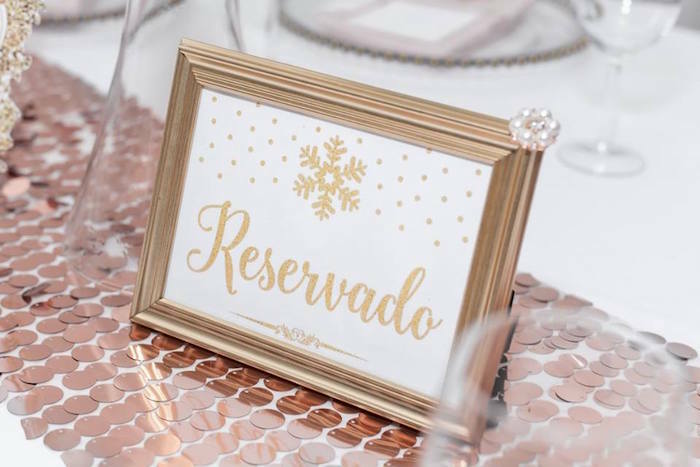 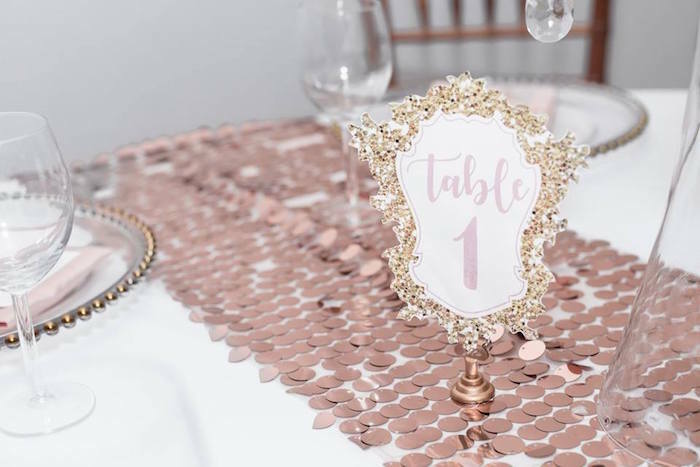 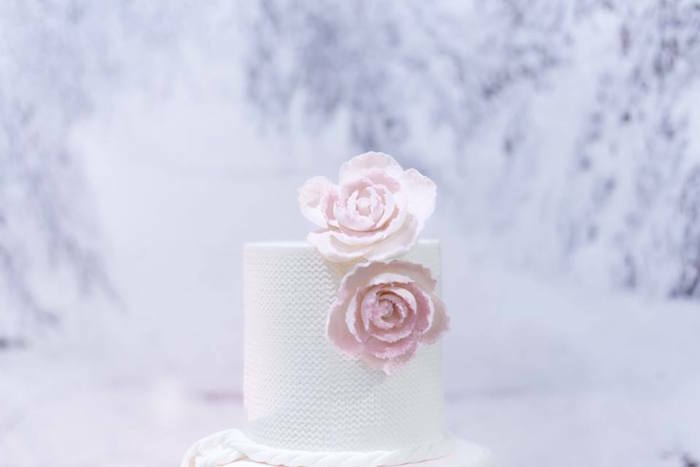 The brief from Dania was, color scheme of mainly white, blush and touches of gold, the rest was in our hands, trusting in us until the day she entered the venue and was in wow mode. 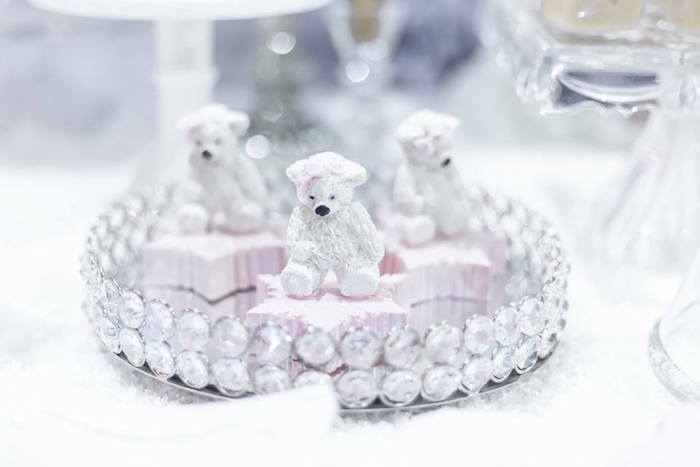 This event was full of pretty details and one detail very special, was a photo from her maternity section of the whole family including Toby theirs dog; this indeed stole Dania’s heart. 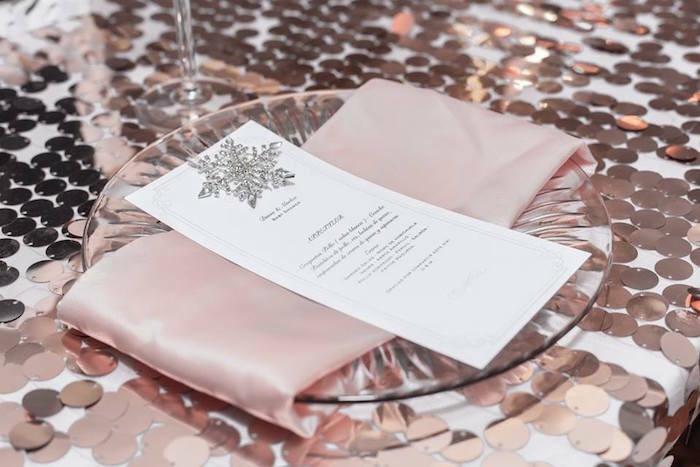 I personalized one side of the menu cards with it, so it also serve as holiday cards for guests to take home. 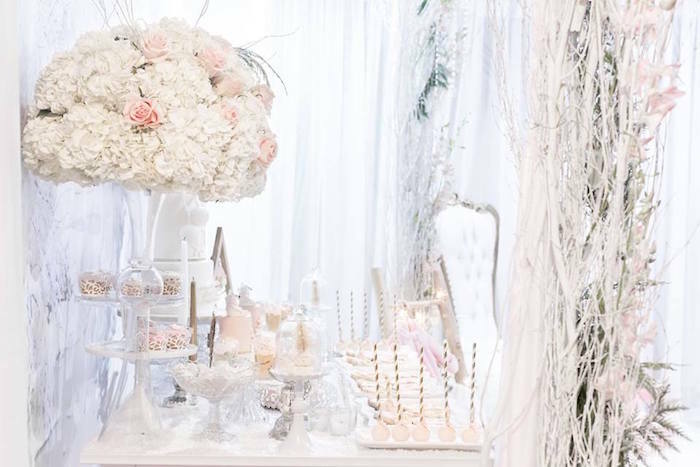 I can only add, thank you Dania and Marlon for trusting me to create a memorable occasion for your big day. 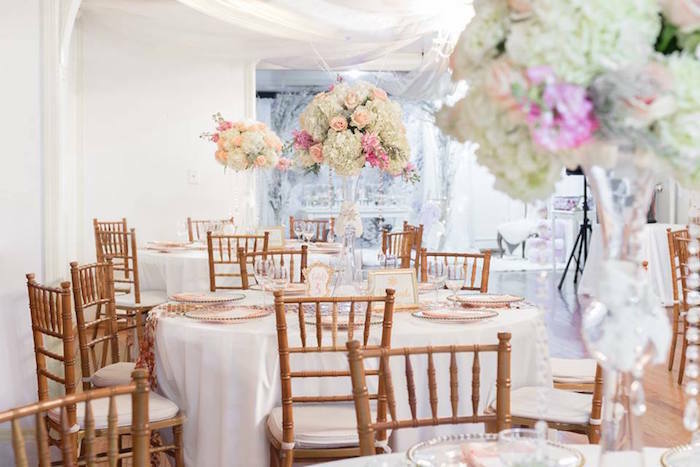 Hope you enjoy looking at all the pictures as much as I did working on this event”. 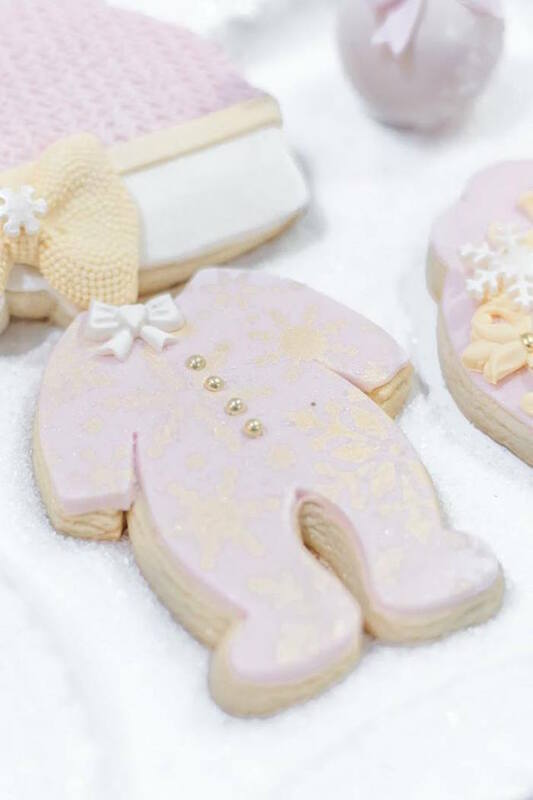 I think this a very creative shower pieces. 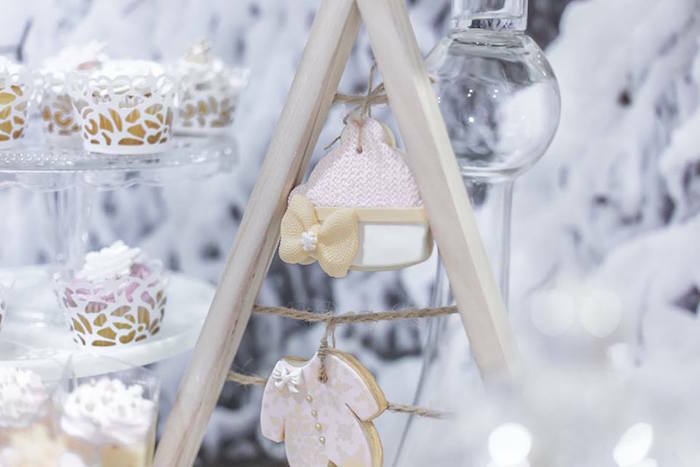 I am going to try to do some of this for my granddaughter’s baby shower. 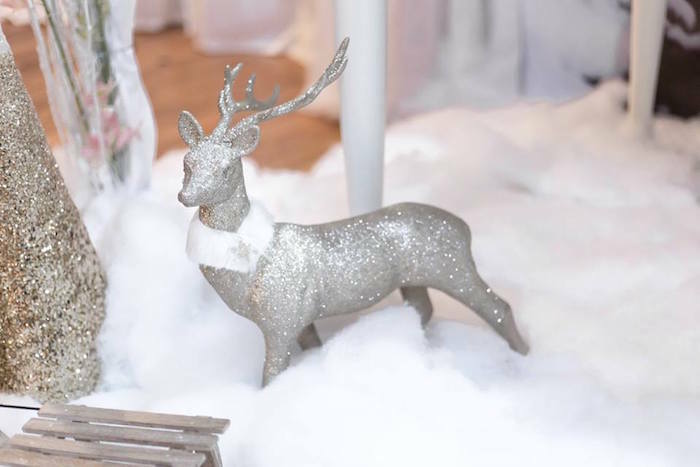 If you could give me some tips on changing it to a boy’s shower it would be gratefully appreciative. 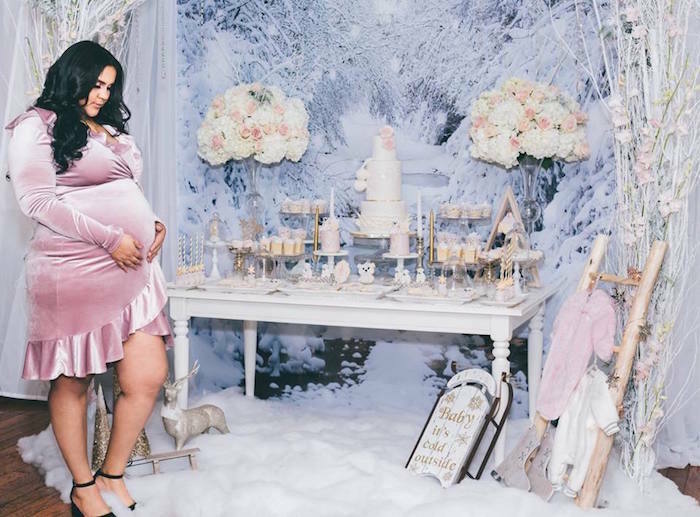 where did she get the dress ? 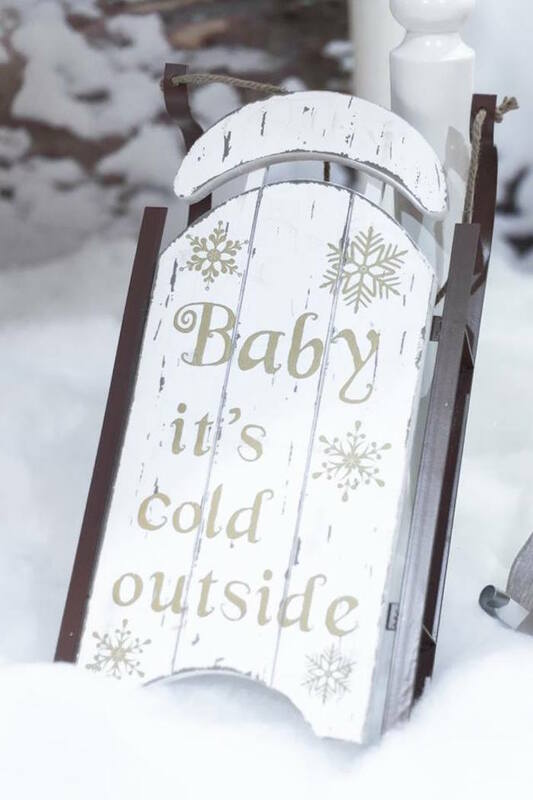 You probably could find it at your local craft store.. 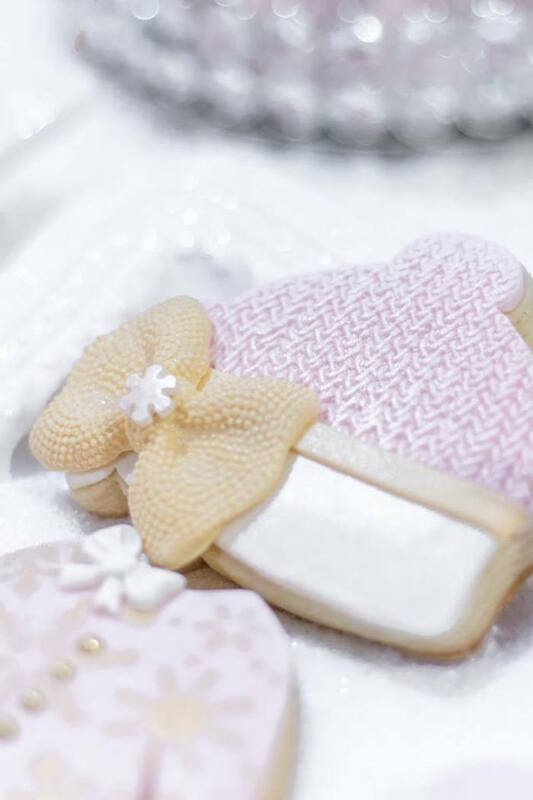 I would love to do this for my daughter. 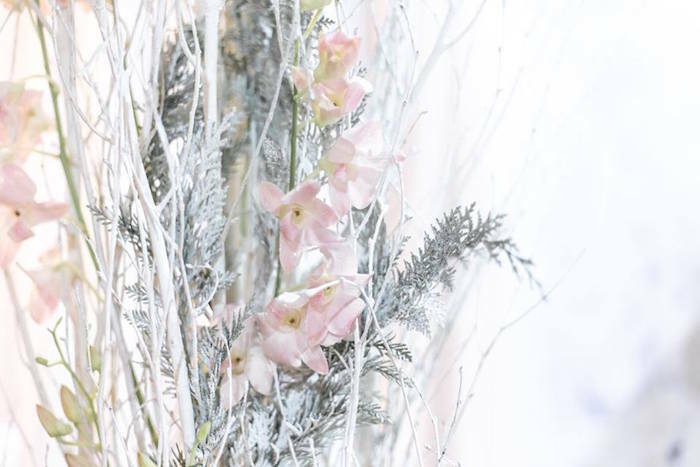 Where did you get the winter foliage and what did you use? 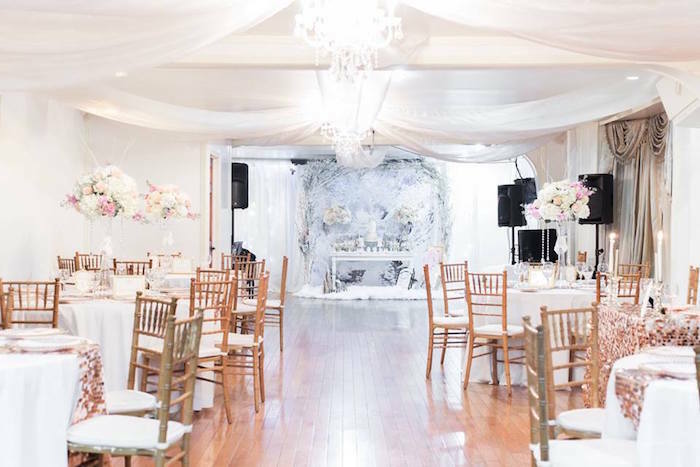 How did you get the backdrop and the sheers to stay up?